It is estimated that about one in 68 children in the U.S. have autism spectrum disorder (ASD). Autism is a developmental disorder that interferes with normal brain functions, and it will affect the development of one’s communication skills, emotional skills, and social skills. Previous studies have found that those with autistic traits may possess greater cognitive abilities than people without autistic traits. In a new study published in the Journal of Autism and Developmental Disorders, researchers at the University of Stirling in the U.K. suggested that people with autistic traits had greater creative skills when it comes to problem solving. For the study, the researchers analyzed 312 people who completed an online questionnaire that measured creativity and autistic traits. 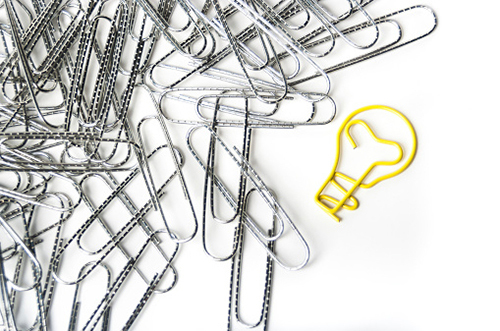 The creativity tests required participants to think of alternative uses for a paper clip or a brick. The researchers then rated responses for unusualness, quantity, and elaborateness. People with four or more unusual responses had higher autistic trait levels. Those with more autistic traits also had higher amounts of ideas. The ideas were also considered more unusual and original. The research team noted previous studies that used similar creativity tests that found that participants would first use word association and easier mental strategies to produce obvious ideas. They later used more complex ideas for more creative answers. Researchers suggested that those with autistic traits would go straight to the difficult ideas first. The new research may provide a better understanding of how an autistic brain could adapt to creative problem solving on a daily basis. Best, C., et al., “The Relationship Between Subthreshold Autistic Traits, Ambiguous Figure Perception and Divergent Thinking,” Journal of Autism and Developmental Disorders, 2015, doi: 10.1007/s10803-015-2518-2, http://www.ncbi.nlm.nih.gov/pubmed/26272675. Whiteman, H., “People with autistic traits may be more creative, study suggests,” Medical News Today web site, August 24, 2015; http://www.medicalnewstoday.com/articles/298517.php. “Research discovers link between autism and creativity,” University of Stirling web site, August 14, 2015; http://www.stir.ac.uk/news/2015/08/research-discovers-link-between-autism-and-creativity/. “Autism Spectrum Disorder (ASD),” Centers for Disease Control and Prevention web site; http://www.cdc.gov/ncbddd/autism/data.html, last updated August 12, 2015.